“Northeast HamXposition @Boxboro”) web site is now live, at https://hamxposition.org. Don’t worry, though, the old “boxboro.org” address still works, too. pre-orders will be available in early June. 242 Adams Place, Boxborough, MA 01719. Be sure to make your reservations early as the hotel fills up quickly. or as a vehicle for student learning. potentially other locations in Rhode Island and Southeast Massachusetts. new homebrew project, raffle prize, or whiz-bang presentation. promoting your club. Or start a VE team within your club. all the difference down the road. gradually over time. You’ll be glad you did. WCC Amateur Radio Association will participate in Maritime Radio Day. BB59, from Fall River, MA. They will be on the air as W1BSA. "Ham Operators Train for the Worst"
maintained with the latest happenings by our EMA SEC, Rob, KD1CY. 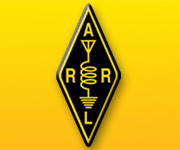 To find out more about EMA ARES visit <https://ema.arrl.org/ares/>. on the MMRA Repeater system. Organization column along with a listing of the nationwide recipients. League (BPL) in February 2019. Natick, and William F. Santelmann, Jr., N1AU, of Peabody. for everyone; young and old. everyone you encounter in this fantastic universe of Amateur Radio. K9HI, for stepping in and producing this months EMA Section News!